Hello, I am wanting to wipe my SSD completely and install Linux on my laptop and was wondering what is the best way to backup my disk 1? 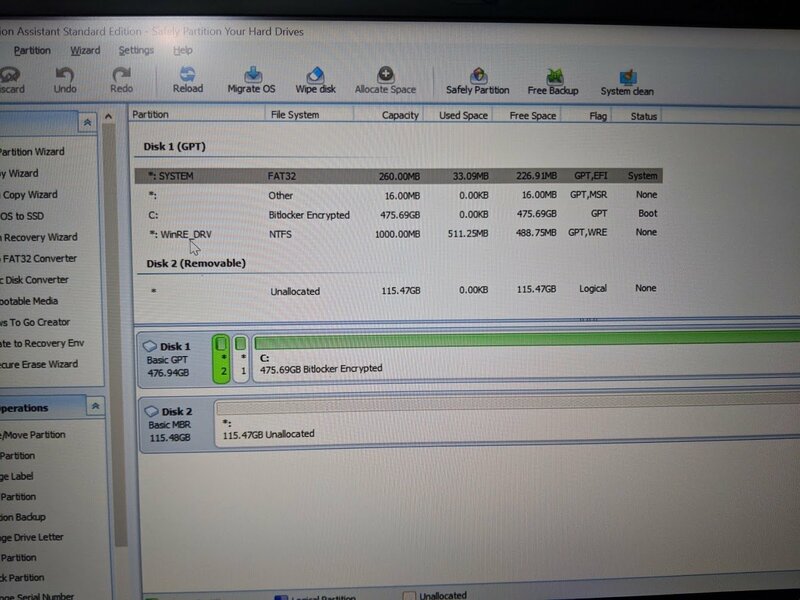 There are 4 partitions on the SSD and I would like to keep it all especially the factory backup hidden partition on it. Also Drive C:/ is bitlocker encrypted so hopefully this doesnt effect anything. Here is a snapshot of my disk. Any Ideas as the best way to do this? Do want the "clone" to be a functional drive or do you just want an image backup to restore at a later date? Your answer is in the question. Either do a disk clone to another drive or make a backup disk image that you can use later to restore to either the same drive or another drive. If I do a disk image using the windows backup utility, can it backup the entire disk including all 4 of the partitions or is it just the C:/ drive that windows is located on. Not sure about the Windows backup utility, you could backup the disk by AOMEI Backupper. It is recommended to disable the bitlocker encryption, all partitions will be backed up. thanks I will try that. I am noticing when I do a system backup using aomei backupper that its only backing up 3 of my partitions. Its leaving out the *: (the 16MB one) is this partition needed for anything? If the system backup ignores the 16MB partition, then that partition is not needed for system boot. The partion *. is not being recognised by windows, right click on it and delete it; next time you boot up it will be recognised and allocated a drive letter. It is not required for safe running of windows.